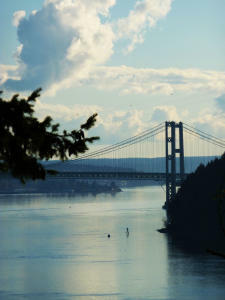 Day 1: Check in at the Silver Cloud Inn on Ruston Way and enjoy the views of the Puget Sound from your room. As your stomach starts to growl for some dinner leave the car keys in your room and walk along the Ruston Way Trail. Take in the views from Dickman Mill Park and Les Davis Pier and keep an eye out for sea life. On your walk you have several options for meals depending on how far you would like to take your walk. If you’re willing to trek it to the end of the trail you will make it to Pt. Ruston where you can grab a bite at Wildfin. Enjoy locally sourced seafood with sweeping views of the Puget Sound. After dinner, if you’re not too stuffed hop across the street to Ice Cream Social, their ice cream is amazing! Day 2: Start your morning off with complimentary breakfast at the Silver Cloud Inn. Then head on over to the stunning Pt. Defiance Park. If you make it there before 10 am on the weekdays or 1 pm on the weekend park the car at the beginning of the park and follow the signs for 5-mile drive. During these times the drive is closed to vehicles and becomes a paved scenic walk. Take in the nature around you and make sure to stop at the view points. Along the way, you will spot The Tacoma Narrows Bridge, Vashon Island and, with some luck, wildlife whether it be sea or forest-animals. When you arrive back to the beginning of the loop make sure to take time and smell the roses, literally, at the beautiful rose garden. At this point in the day it might be time for some lunch and relaxation. Hop in the car and go to downtown Tacoma where you can pick up some food to-go. Poke to the Max might be the perfect meal to grab. With food in hand make your way to Thea’s Park down on the water. 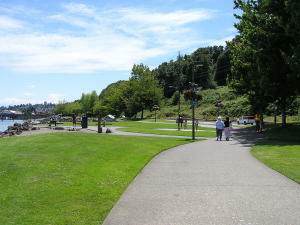 Find a spot on the grassy knoll to dig-in and admire the views of the Port of Tacoma and Commencement Bay. Once finished with lunch make your way to the Foss Waterway Seaport where you can learn all about the waters you were just admiring. Fireman’s park is next on the list where you will get a similar view as Thea’s Park but from much higher up. On a clear day, the views of Mt. Rainier from Fireman’s Park might just take your breath away. You will also find a totem pole that was originally carved in 1903 on display here at Fireman’s Park. From there move your way up the hill to Wright Park and stroll along the pathway. There are over 150 different species of trees in Wright Park as you will notice while you are walking. Consider stopping in the WW Seymour Botanical Garden where you can view even more plant species. 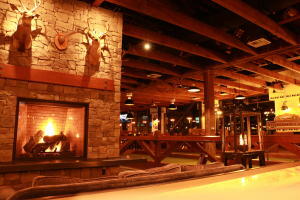 Finish the evening off with dinner and a drink at The Rhein Haus located directly across the street from Wright Park. If you’re not too exhausted play a game of bocce ball at one of Rhein Haus’s bocce ball courts. Day 3: After another complimentary breakfast at your hotel finish your trip off with a walk. Take your time as you walk from the Silver Cloud Inn down to Fuzhou Ting in Tacoma’s Chinese Reconciliation Park. If you’re not ready to leave Tacoma and want one more adventure to consider renting kayaks or stand up paddle boards from Dolan’s Board Sports located at Jack Hyde Park.